Three migrant fishermen have been recognised for their heroic efforts, after rescuing dozens of Greeks during the devastating wildfire that broke out in Attica in July 2018. Ibrahim Mahmoud Mousa and Emad Al Haimi from Egypt and Albanian man Jake Gani were awarded Greek citizenship this week. In the official ceremony, which took place on Wednesday, Greece’s President Prokopis Pavlopoulos thanked the men for their bravery. 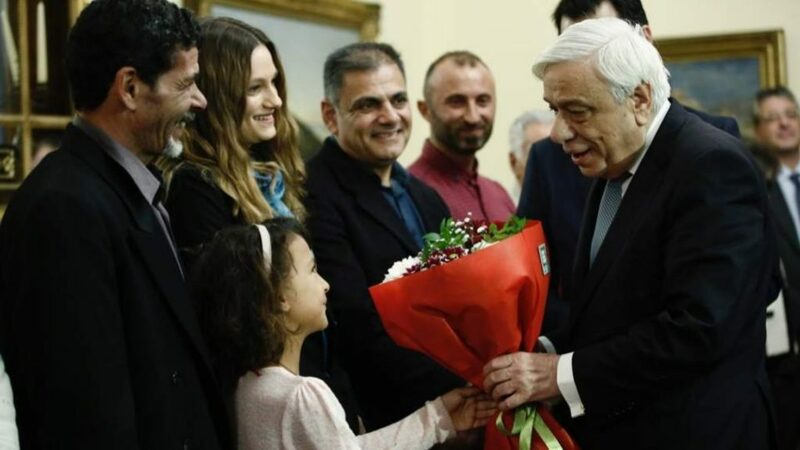 “You are now European citizens too, and so you can teach all our partners who don’t realise the values of Europe, to do what they ought to do,” Mr Pavlopoulos said. He added that it “sends a message to Europe … to the formations of populism and xenophobia, who are against the spirit of European humanism and solidarity exemplified by the three fishermen”. Speaking to the Athens News Agency, Mr Mousa, a true hero, recalled the scenario that unfolded in July and said that in such emergencies “there is no religion, there is no black and white – when someone sees something like that he must go there and even give his life to help rescue people”. He went on to urge all foreigners to “respect the places where they live”. Mr Haimi shared the sentiment, going on to thank God that they managed to save some people in the wildfire, which resulted in the deaths of at least 90 people. “I would do this again a thousand times,” Mr Haimi said.